Dignity Action Day #DAD2019 is an annual opportunity for health and social care workers, and members of the public to uphold people’s rights to dignity. It’s aim is to provide a truly memorable day for people who use care services. The campaign supports changing the culture of care and support services, placing dignity centrally, in the hearts and minds of all those that care for others. We were pleased to recently celebrate Dignity Action Day, spreading the word about the campaign to our colleagues and service users. Our service in Coventry and Warwickshire enjoyed a DigniTea event. 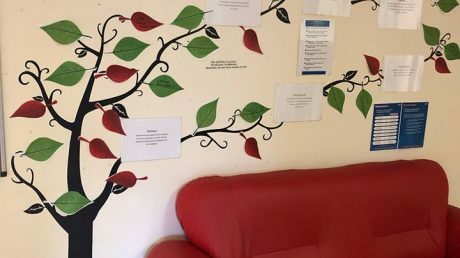 With plenty of cake and tea, service users and dignity champions got together to promote their 10 dignity dos and put their views up on our Dignity Tree.